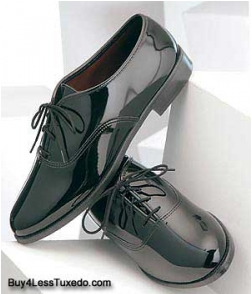 Although patent leather is the most popular, it is not the only option for men. 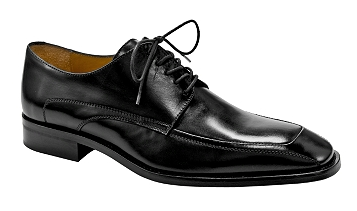 My husband opted to wear a formal leather oxford like the shoe below. The shoe needs to be polished and sharp! However, if you do opt for the patent leather show, you can buy a pair, starting at $35 at Buy4LessTuxedo.